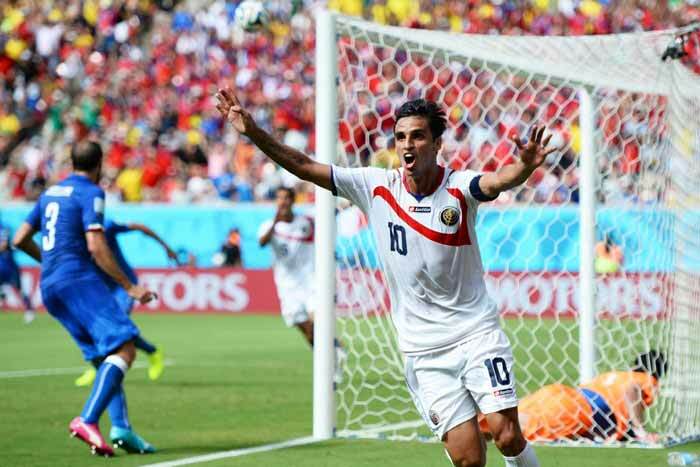 Costa Rica’s Bryan Ruiz celebrates a goal in his team’s 1-0 win over Italy. CONCACAF is dominating the 2014 World Cup. Or, perhaps less hyperbolically, CONCACAF — the FIFA region that encompasses North America, Central America, and the Caribbean — is outperforming its traditionally low expectations at the 2014 World Cup. The region has long been more or less of a joke, even among American soccer fans. The United States and Mexico — relative afterthoughts compared to the top teams in Europe — are the superpowers. World Cup qualifying involves trips to places like Barbados and Belize, where the field are basically weed patches and only a handful of fans show up. But in Brazil, CONCACAF has come to play, and it’s not a fluke. The four teams — United States, Costa Rica, Mexico, and Honduras — are a combined 4-1-1 through Friday afternoon. Costa Rica is already qualified for the knockout stages with a 1-0 win over Italy, and they will likely finished above Italy, England, and Uruguay in their group. CONCACAF, which is considered multiple tiers below both Europe and South America in terms of overall quality, is playing as well as any other region in the tournament. Those four wins came against Uruguay, Italy, Ghana, and Cameroon. 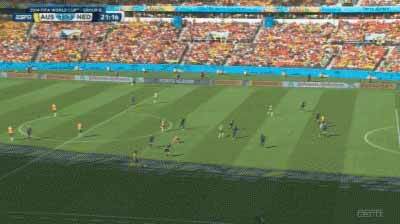 The tie came against Brazil. The U.S., Mexico, and Costa Rica (sorry, Honduras) have been well-organised, hardworking, and unintimidated against elite competition. It would have surprised absolutely no one if all four CONCACAF teams were eliminated in the group stage. Instead, Costa Rica is the favourite to win their group, and both Mexico and the U.S. are favoured to make the last 16.